The P360 memory scanner breaks new ground in industrial barcode scanning. Equipped with memory keypad display and an award-winning ergonomic design this handheld scanner switches seamlessly from data entry to data management. Ideal for extreme environments: warehouse stores builders' yards and receiving and cross-dock applications the economical P360 plays many roles. This scanner sealed to IP54 stands up to conditions in extreme environments: dust rain heat and cold as well as 6 ft-1.8 m drops to concrete. 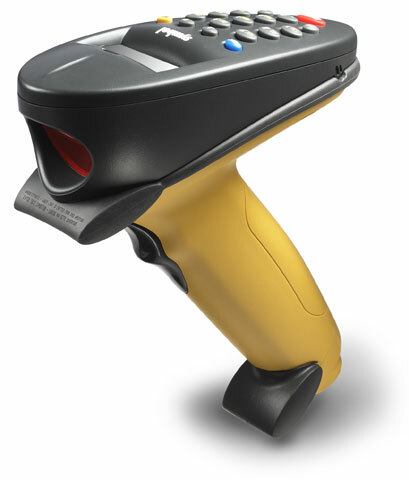 Connected to a host it is a corded rugged handheld scanner. In cordless mode the multi-tasking P360 goes where other memory scanner can't. where the data has to be managed and collected: onto the loading dock into the warehouse or out into the yard for cycle counts receiving inventory checks and transfers. The Symbol P360-SR1214100WW is also known as Symbol Technologies	SYM-P360SR1214	or P360SR1214100WW	.